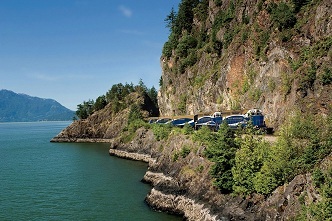 The Rocky Mountaineer Whistler Sea to Sky Climb is no longer offering one-way or day trip journeys between Vancouver to Whistler. Instead it will be integrated into a 3 day rail journey from Vancouver to Jasper on the Canada’s Rockies and Whistler journey. There are still many great ways to see Whistler for guests with a short amount of time in the area. Consider the Whistler and Shannon Falls Tour as an alternative, or a bus to Whistler and a return by float plane.